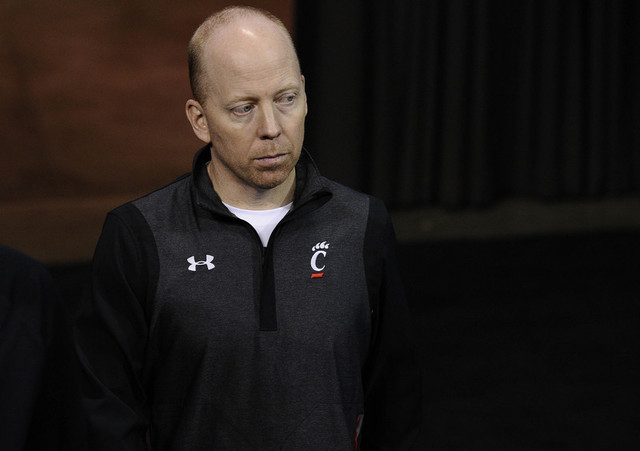 Cincinnati basketball coach Mick Cronin has emerged as a candidate for the vacant UNLV job, sources said Saturday. 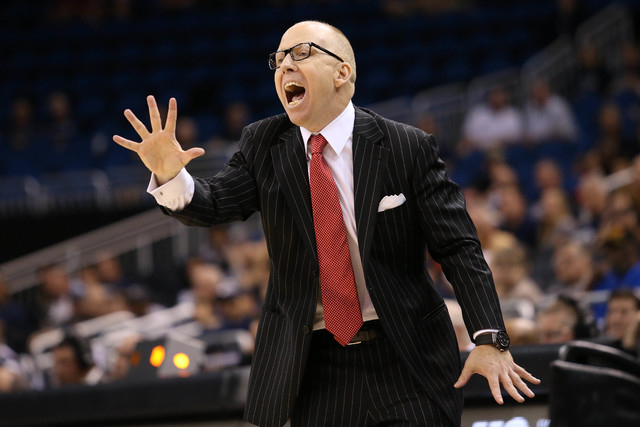 Cronin has a 207-129 record in 10 seasons at Cincinnati. He has taken the Bearcats to six NCAA Tournaments in a row, including a trip to the Sweet 16 in 2012. Before Cincinnati, he was the coach at Murray State from 2004 to 2006, compiling a record of 69-24. Two of those three seasons ended in trips to the NCAAs. 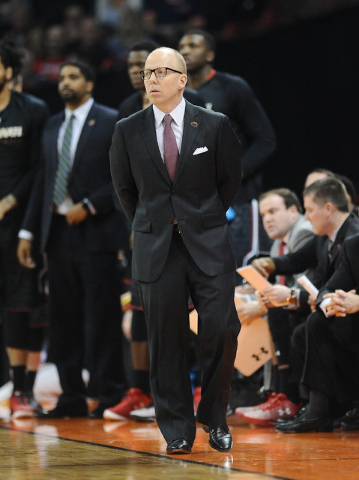 Cronin, 44, also has coached under Rick Pitino at Louisville and Bob Huggins at Cincinnati, learning the importance of putting together tough, physical teams. UNLV has struggled in such matchups against Mountain West rival San Diego State. Cincinnati’s season ended Friday with a 78-76 NCAA Tournament loss to Saint Joseph’s, so UNLV could move quickly if it decides to seriously pursue Cronin. He also could work out a contract extension with the Bearcats, a source said. The Bearcats stuck by Cronin, an alumnus of the school and a Cincinnati native, when he was forced to miss most of the 2014-15 season because of arterial dissection, a vascular condition.